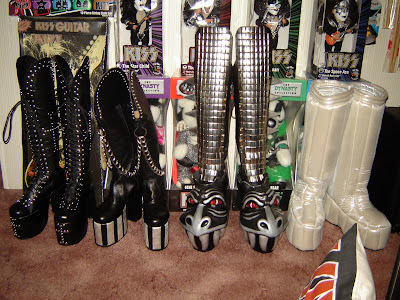 At last after many months of fighting the cheap competition to become the best...the day has arrived that I thought would never come...The birth of the official KISS COSTUMES website! No we do not mean band authorized...we mean...we own the domain...the name etc....No longer do you have to turn to the SCOTT MCKLUSKYS & THE KISSCOSTUME GIRL to be scammed out of your cash. Nor do you have to accept cheap vinyl knock offs that the industry thinks you will be happy with...here you will get the bang for the buck...we have aquired some of the competitions work...shall we say recently...and we will soon be allowing photos to compare for your viewing pleasure...this costume I speak of was made by a gentleman known as THE BALDGUY...well the run is over people....a new day is dawning....COSTUMES GALORE....THE LEGAL SYSTEM CAN DEAL WITH YOU..no longer will the attempts to rip off our works be legally tolerated. 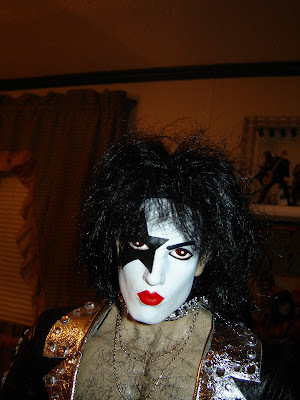 KISS fans have demanded the best for decades when it comes to the costumes...but so far all the system give them is...vinyl knock offs that look like something tossed together on a $20 allowance. I will admit our stuff gets pricy sometimes...but qaulity cost money and I will not sell anything I would not wear! God bless you all for making my dreams come true...and I promise a KISSNEWYEAR that will blow you away!